Proprietary Name: Basic Care Sleep Aid What is the Proprietary Name? Non-Proprietary Name: Doxylamine Succinate What is the Non-Proprietary Name? 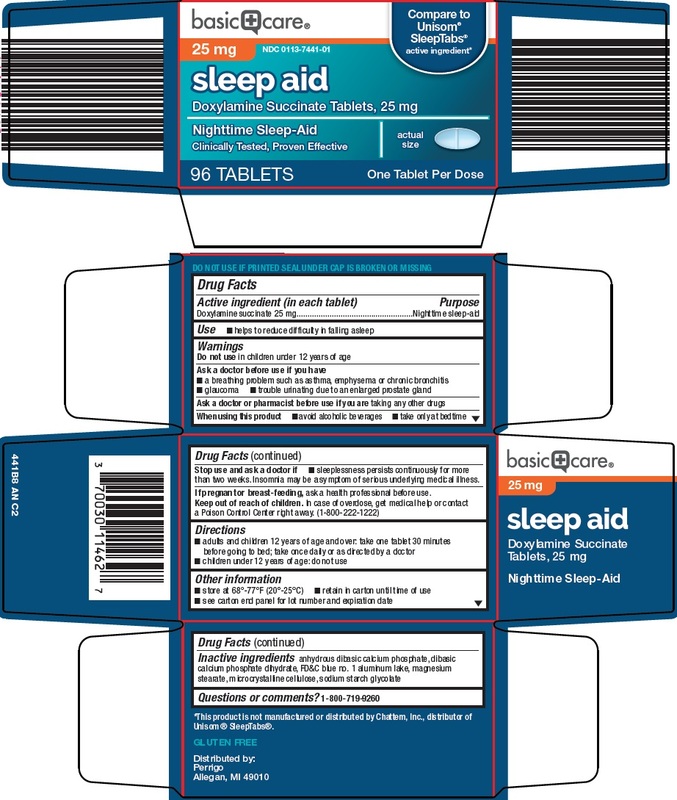 Basic Care Sleep Aid with NDC 0113-7441 is a a human over the counter drug product labeled by L. Perrigo Company. The generic name of Basic Care Sleep Aid is doxylamine succinate. The product's dosage form is tablet and is administered via oral form. FDA Application Number: ANDA040167 What is the FDA Application Number? Start Marketing Date: 03-06-2018 What is the Start Marketing Date? •sleeplessness persists continuously for more than two weeks. Insomnia may be a symptom of serious underlying medical illness.